The other day we finally had some nice warm weather, so I payed a visit to the local creek. 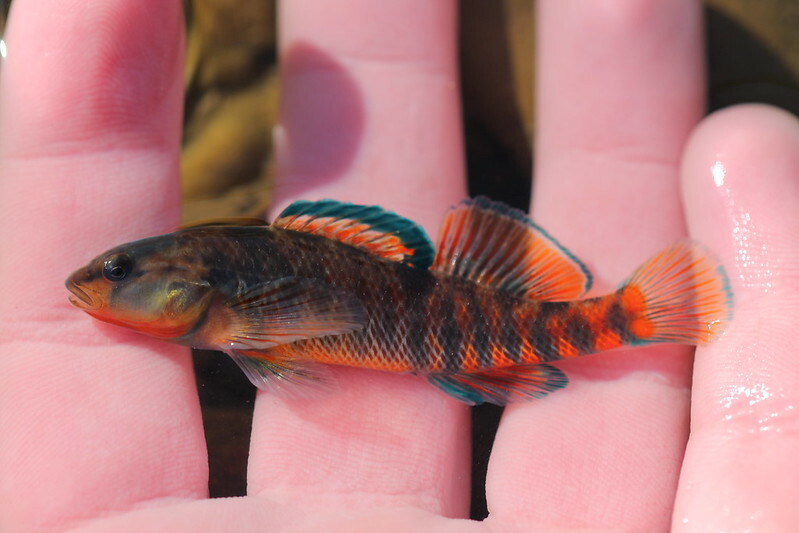 Though no herps were found, I found something just as good-my lifer Rainbow Darter. Awesome fish I will never tire of finding. Beautiful fish, Zach! 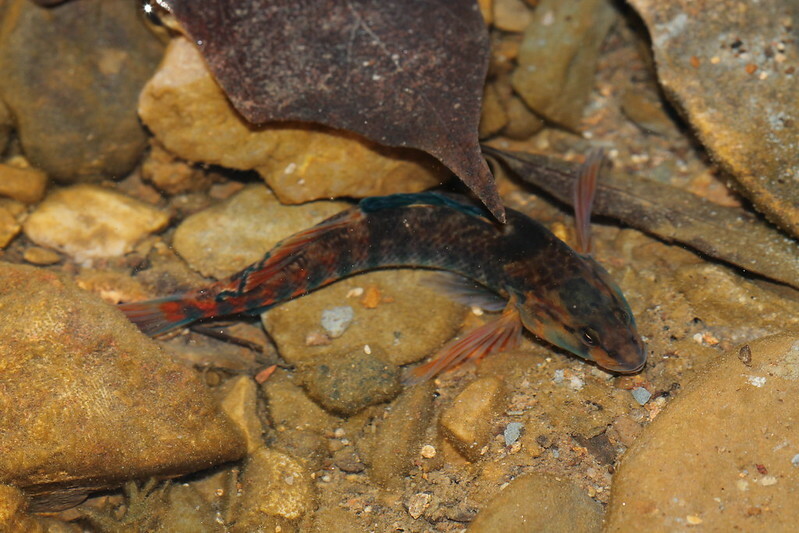 A buddy and I found our first rainbows when we got his car stuck in the middle of a stream we were trying to drive across - on a trip we made specifically to find that and other darter species. I waded out to push and quickly found them hopping around the loose rocks the car wheel was slipping on. They're fairly easy to acclimate to aquarium life if you ever want to give that a try.